Aside from their other medical uses, such as wrinkle relaxing, muscle relaxing injections may also help to reduce chronic migraines. Dr Sagoo runs a migraine clinic seeing patients from all over the Midlands who suffer with chronic migraines, and he has been carrying out treatments with muscle relaxing injections for over 10 years. A migraine is a type of headache where the person often has an intense throbbing headache and additional symptoms such as nausea, vomiting or increased sensitivity to bright light, noise or smell. 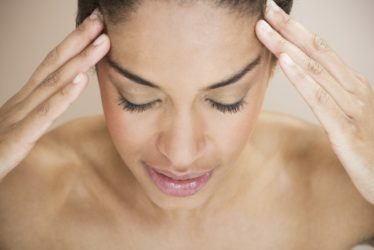 It is estimated around one in seven people suffers from migraine headaches at least occasionally, and two per cent of the population have chronic migraine, experiencing such severe headaches on more than 15 days a month that they are forced to take time off work and to disrupt their family and social lives. The throbbing pain, experienced at the front or side of the head, can last anything from a matter of hours up to three days. It gets worse when moving around, forcing many sufferers to lie down for the duration of the pain, preferably in a dark room. Muscle relaxing injections have been found to have a preventive effect on chronic migraines, causing a reduction in their frequency and severity for many patients. It appears from the research that this treatment does not work, as one would expect, by relaxing muscles around vessels (a key mechanism in the understanding of migraines), but rather by reducing the pain transmission to the brain. This in turn can support the relaxation of muscle tension. Results of studies have shown that treatment with muscle relaxing injections can reduce migraine frequency, migraine severity, acute medication usage and associated vomiting in up to 65% of sufferers. The injections of muscle-paralysing toxin are given in the scalp, head and neck area. Most patients return directly to work and other normal daily activity immediately following muscle relaxing treatment. The muscle relaxing injection starts to work 3 to 4 days after the procedure and migraines may become less frequent and severe. The procedure takes around 30 minutes and there may be mild discomfort caused by the injections. Results may last up to 4 months, after which another course of injections is often advisable. You may be slightly red at the injection site for a few hours. Also some neck pain may be experienced, but this may be managed with paracetamol. Very rarely, some weakness to the neck muscles can be experienced. How Often Will I Need Muscle Relaxing Injections? Dr Sagoo will discuss this with you, but as a rule the muscle relaxer wears off after three to six months. At this point, you may want to have another course. The maximum effect can be expected after 12 months of regular injections. Each patient is an individual, so results will vary from person to person. The goal is to reduce or eliminate the patient’s need for migraine medications, as this is a preventative treatment. As migraine episodes may still occur, acute medication can still be taken for them if needed. If you are already taking prophylactic medication please continue taking it and discuss a slow withdrawal with your doctor. How Many Injections Will I Need And Where? You will need around 30 – 40 injections. The injections are placed on your forehead, your temples, the back of your head and along side your upper shoulder muscle (trapezius).